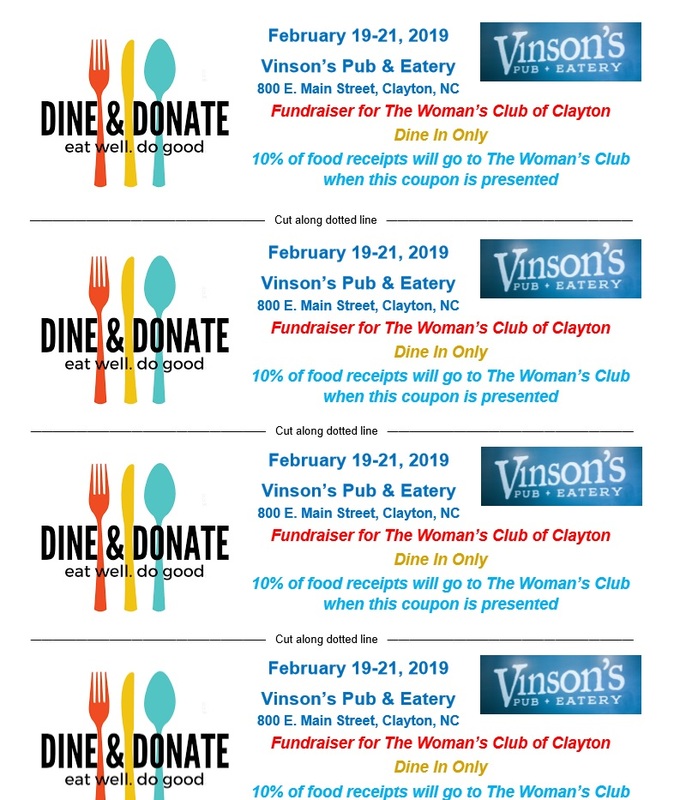 Plan lunch and/or dinner out on February 19, 20 or 21 at Vinson’s Pub & Eatery. Take one of the coupons attached below and give it to your wait staff when the bill is paid. The Woman’s Club of Clayton will receive 10 percent of the receipts during those three days when the coupon is presented. Receipts are based on dine in only and alcohol is not included in the 10 percent the club receives.